The just concluded Bangladesh Premier League (BPL) can be termed as the most competitive one till date with some highs and lows stitched with it. Five centuries and three hat-tricks with some nail biting finishes only indicate that the month long journey of BPL, country’s lone Twenty20 tournament had all the elements required to put it alongside top Twenty20 tournaments around the world. Batman Laurie Evans, Evin Lewis, Alex Hales, Rilee Russouow, Ab de Villiers and Tamim Iqbal scored centuries while hat-tricks were earned by Dhaka Dynamites suspect off-spinner Allis Islam and Andre Russel along with Comilla Victorians speedster Wahab Riaz. Aliss, who had to quit the tournament after sustaining an injury, was under the scanner for suspect bowling action two days after picking the hat-trick on his BPL debut. Later BPL authorities stated that he needs to comeback after getting clearance from bowling review committee. The show ran without any major hiccup unlike the way it happened in previous editions apart from Steven Smith issue when he was barred from taking part in the tournament on the insistence of other franchises and was allowed to participate later. With players like AB de Villiers, Steve Smith and David Warner featuring for the first time, this year’s BPL was hyped up as it had more star power than the last five editions. The two Australians were made captains of their respective franchises but unfortunately both had to leave the tournament early due to injury. Nevertheless, their inclusion alongside the likes of the returning Chris Gayle, Andre Russell and Kieron Pollard and Alex Hales increased the brand value of the tournament. All-rounder Mehedi Hasan Miraz got an unexpected surprise when the 21-year-old was made the youngest captain of the tournament’s history by Rajshahi Kings. The way he held his nerves and took some bold decisions on such a big platform, it only proved another captain is on the making. Although Miraz scored only 123 runs in 12 matches, the young skipper promoted himself up the order as he opened batting on a few occasions and also batted at number three at times. He even came up with his maiden Twenty20 half-century at number three to showcase his talent with the willow up the order. The Chattogram leg of the tournament was the most entertaining one as it saw the highest (Rangpur Riders’ 239 runs for 4 wickets against Chittagong Vikings) and second highest (Comilla Victorian’s 237 runs for 5 wickets against Khulna Titans) totals in history of BPL being registered. It was not just a batman’s paradise though, as two of the three hat-tricks of this edition, Comilla pacer Wahab Riaz’s hat-tricket against Khulna and Dhaka all-rounder Andre Russell’s hat-trick against Chittagong were registered in Chattogram. But the tournament had a very slow start and some of the blame could be attributed to the unpredictable Mirpur pitch, which saw a number of low scoring dull contests. In the opening match of the tournament, Chittagong struggled to chase 98 runs posted by Rangpur. Mushfiqur Rahim’s team only managed a 3-wicket victory in what was a little preview of Mirpur pitch. However, even more reasoning behind the claim of the pitch being unpredictable could be given with the next game which saw Rajshahi bundled out for just 106 runs in response to Dhaka’s 189 runs for 5 wickets in the first innings. Throughout the tournament there were plenty of such instances in Mirpur. More misery were added through the production unit as the most eye-catching and horrendous aspect of this edition’s BPL was its abysmal quality of broadcast with unavailability of technological support in the initial phase as it started without the technological facilities of Ultra Edge, Snickometer or Hot Spot — which were brought in almost a week after the tournament commenced. The commentary team cannot be spared as there were instances of commentators pronouncing the names of players wrong and the most noticeable mistakes were the graphic errors. The locals did not shine as per expectations with the bat and there are many reasons behind it as the only hundred by a local batsman in this edition of BPL was registered in the final when Comilla opener Tamim Iqbal struck a magnificent unbeaten 61-ball 141 runs. But one local batsman proved to be the exception. Chittagong’s Yasir Ali who has not yet been capped for the national side, performed brilliantly with the bat. The 22-year old scored 307 runs in 11 matches with three fifties and a highest score of 78 runs. However, the locals shone with the ball, with 8 of top ten wicket-takers being locals. This edition of BPL also provided a new school of thought for the franchises as whether it is required to chase big names or effective players as Chittagong Vikings came up with an excellent run despite not having many big names in their dressing room. 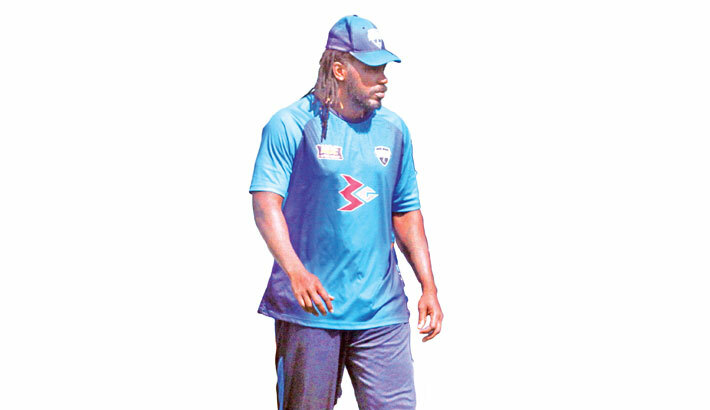 The only disappointment from fan’s point of view remains in the fact that they failed to see Chris Gayle entertain them with his blazing shots as he remained a shadow of his past and in the process Rangpur Riders failed to retain their title as they were eliminated before the final.